This week officially kicks off the TV season. A few weeks ago, I took a look at some of the new sitcoms and offered what I'm looking out for in them. However, to be honest, I'm far more interested in returning sitcoms this year. There are a lot of really strong sitcoms on network TV right now, and some others that aren't quite there but show some promise, and I'm really interested to see how everything shapes out as the new season takes form. Around the rest of the networks, ABC continues to have a solid comedy line-up with shows like The Goldbergs, black-ish and Fresh Off the Boat continuing to plug along with consistently solid episodes. These are always good "comfort" TV shows, and with the departure of The Middle, they'll be serving as a continuation of ABC's strong comedy fort. Even if The Connors doesn't work out, ABC has a really solid bedrock of family comedy to rely on. CBS also has consistently solid shows like Mom and Life in Pieces to look forward to, and although Big Bang Theory has never exactly been my cup of tea, the excitement of the show's final season will definitely be felt. Over on Fox, things are looking pretty desolate comedy-wise - the network wiped its live action slate clean last season. The only returning sitcom is Last Man Standing, which of course, was resurrected after ABC cancelled it over a year ago. I am, however, looking forward to Bob's Burgers 9th season, which is slowing no signs of dropping off in quality and remains delightfully sweet and funny. So even if the new slate disappoints, there will be enough great sitcoms on TV every week from our returning slate to make it worthwhile. Let's hope these shows continue to impress! Welcome to The Neighborhood! 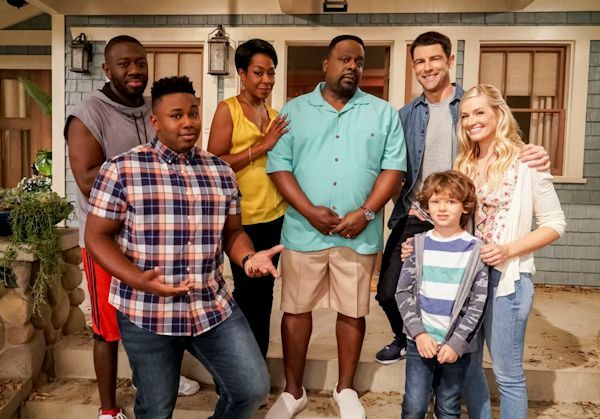 One of the newest series on the CBS lineup this fall follows Dave Johnson (Max Greenfield) as he moves his family from Michigan to Los Angeles. But there is something different about this neighborhood compared to his one back home. The Johnsons are the only white family in the all black neighborhood. Much like a throwback to the fish-out-of-water sitcoms of past eras, The Neighborhood follows the Johnsons and their next-door neighbors, the Butlers, as they make the best of the new situation. Max Greenfield (Dave Johnson) has appeared in recurring roles in Veronica Mars and Ugly Betty, but most recently, he appeared in the Fox series New Girl. Cedric the Entertainer (Calvin Butler) is best known for his standup comedy work, and has starred in series such as The Steve Harvey Show and most recently The Soul Man. Additionally, he served as host of Who Wants to be a Millionaire? for one season. Beth Behrs (Gemma Johnson) is best known for her role of Caroline Channing on 2 Broke Girls. She has had guest appearances in The Big Bang Theory, Castle, and NCIS: Los Angeles. Tichina Arnold (Tina Butler) began her career as a child actor, and had starring roles in both Martin and Everybody Hates Chris. Most recently, she has appeared in Happily Divorced and Survivor's Remorse. Sheaun McKinney (Malcom Butler) is known for his roles in Great News and Vice Principals. Marcel Spears (Marty Butler) is a relative newcomer to TV, but he appeared last season in The Mayor. Hank Greenspan (Grover Johnson) is another newcomer to acting, but appeared in two episodes of the Netflix series 13 Reasons Why. The Johnson family has moved from Michigan to Los Angeles and found the nicest house that they can afford, but there is something different about their new neighborhood: they're the only white people in the neighborhood. The next-door neighbors, the Butlers, invite the Johnsons over for a cookout, so what could go wrong? A leak at the Johnson family home brings neighbors together for a weekend of repair; meanwhile, during repairs, Gemma goes to take a shower at Tina's house, and discovers something she wasn't expecting to find: wigs. Dave gives Calvin a spare key to his home just in case of emergency, and is disappointed when Calvin doesn't give one back to him. Eventually, Calvin does reciprocate... or so it seems. The Johnsons are having a housewarming party and everybody in the Butler family is coming. Well, except for one person, and Dave has had just about enough rejection. This was definitely one of the series of the new season that I was looking forward to, and I'm pleased to say that upon watching the pilot, I'm satisfied with what I saw. 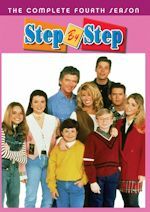 It has all of the pieces that a successful sitcom needs: a quality cast, decent writing, and a plot that is actually entertaining to watch. On top of all of that, it has some pretty funny moments. I often lament when watching pilots of other series that the pilot often tends to drag on and spends way too much time explaining the character and situation without much of an entertaining story. This pilot, however, was actually interesting to watch and a good episode. That always helps a series get off to a good start. Clearly, this is a typical sitcom format in that it is a fish out of water sitcom, with the emphasis being on somebody of a different race moving into the neighborhood. 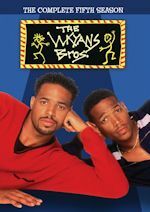 It's been done before, with sitcoms like The Jeffersons, The Hughleys, and most recently black-ish probably being the two most prominent examples. However, this series takes the whole concept and reverses it, with a white family moving into a black neighborhood. It's a fresh idea, which is hard to come by in any sitcom these days, particularly in this current era of "reboot everything." It's also interesting to see CBS take on a sitcom that deals with racial issues. 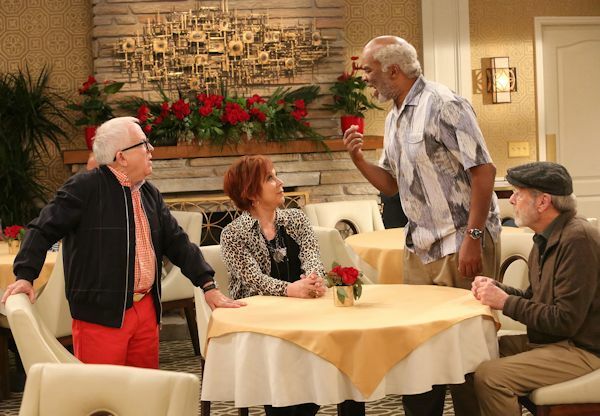 Of course, there was a time when CBS was the one that was taking on tons of series that dealt with racial issues back in the Norman Lear era, but lately, CBS has not been known for having any sitcoms with a black cast. It'll be interesting to see how this series progresses and if it keeps the issues simple or decides to tackle more complex and controversial racial issues. It almost gets there in the fourth episode, but not fully. I have a feeling it'll keep things more light-hearted and humorous since it is a traditional sitcom, and that may be the best approach for this particular series. One thing that I wonder about with this series going forward is if it is actually going to be about people in the neighborhood, or just these two families. It probably does make the storylines simpler and easier to follow by having an emphasis on just these two families, but in the episodes that I saw, the only other people in the neighborhood that were featured seemed to be like cardboard background characters. It would be nice to have at least some other neighbors as recurring characters at minimum. A lot of other series that dealt with neighborhood dynamics like this in TV history (like the Norman Lear sitcoms) often focused on one or sometimes two neighbors, but at least had a few other neighbors that appeared on a recurring basis that fans of the series sort of knew. It would also be interesting to see other characters, such as the often mention (but never seen) grandmother who has some pretty strong opinions in her text messages to Grover about where the family is living. This is a good show that has some potential. I doubt it will be the big "breakout hit" of the new season or anything like that, but I certainly don't think it is going to be one of those series that gets cancelled in a few weeks. The biggest challenge that this series might... and only might... have is finding an audience on a network that doesn't feature a lot of sitcoms similar to this one. 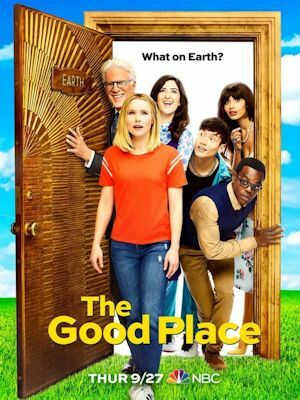 However, to be fair, no other network has any sitcoms quite like this either, so it probably doesn't fit in any better or worse on CBS than it would elsewhere. I really do hope that this sitcom succeeds, and it'll be something that I'll be watching every week for as long as it stays. Discuss the show after you watch it on Monday, October 1, 2018 at 8:00PM ET/PT on our message board. From executive producer Charlie Day (It's Always Sunny in Philadelphia) and starring Tony Award nominee David Alan Grier (The Carmichael Show, In Living Color), Emmy Award nominee Martin Mull (Veep, Roseanne), Emmy Award winner Vicki Lawrence (Mama’s Family, The Carol Burnett Show) and Emmy Award winner Leslie Jordan (Will and Grace, American Horror Story), The Cool Kids is a multi-camera comedy about a rowdy, rag-tag group of friends living in a retirement community who are willing to break every rule in order to have fun – because, at their age, what do they really have to lose? Hank (Grier) is the leader of this motley crew, a gruff, opinionated, 21st century Archie Bunker who will go to any lengths to have a good time. His loyal, but less than helpful, friends include Charlie (Mull), a bumbling wanderer who constantly goes off on tangents about some bizarre, barely believable episode from his life; and Sid (Jordan), a fun-loving hedonist with a flair for the melodramatic. Complicating matters is Margaret (Lawrence), a brash, confident woman who forces her way into their group and refuses to leave because she’s not going to take crap from anyone – especially not these three. But what unites them all is their shared belief that they’re not done yet – not by a long shot. Growing old with dignity is for chumps. These self-proclaimed “cool kids” are determined to make the third act of their lives the craziest one yet. 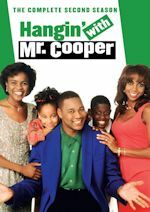 David Alan Grier (Hank) is perhaps best known for his work on the sketch comedy television show In Living Color. He recently starred in the NBC sitcom The Carmichael Show. Some of his previous sitcom starring roles include Bad Teacher, Life with Bonnie, DAG, Damon, The Preston Episodes and All Is Forgiven. Martin Mull (Charlie) starred as Crawford Whittemore in the Fox sitcom Dads in 2003-04. Some of his previous starring and recurring roles include Mary Hartman, Mary Hartman, Fernwood 2 Night, America 2-Night, Domestic Life, Roseanne, Sabrina, the Teenage Witch, The Ellen Show and Veep. 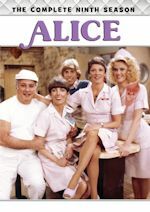 Vicki Lawrence (Margaret) is best known for her role as Thelma Harper/Mama in Mama's Family. She won an Emmy Award for her work on The Carol Burnett Show in 1976. Some of her sitcom guest appearances include The Love Boat, Laverne & Shirley, Major Dad, Roseanne, Yes, Dear, Hannah Montana and Great News. Leslie Jordan (Sid) is best known for his roles as Lonnie Garr in Hearts Afire and as Beverly Leslie in Will & Grace. He won an Emmy Award for his work on Will & Grace in 2006. Some of his sitcom guest appearances include Night Court, Murphy Brown, Newhart, Dharma & Greg, Reba and Raising Hope. Discuss the show after you watch it on Friday, September 28, 2018 at 8:30PM ET/PT on our message board.